Celebrate the worlds first dogfighters and create the ultimate aerial battlefield! 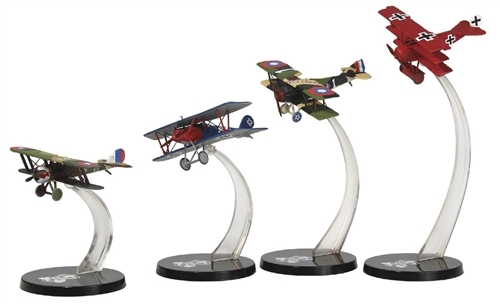 New from Wings of the Great War, this dogfight riser set includes three presentation risers of varying heights to create a dynamic WWI air battle. Our Price: $9.99 Special Order!